I can´t believe I passed my driving today!! I am over the moon right now and it´s all thanks to Muj. Muj always encouraged me when I was doubting myself. Also, thanks to Milli who gave me time when Muj was unable to, due to last minute test appointment. Both of you were amazing and pushed me to believe in myself. Muj was firm but supportive throughout and I found his method of teaching second to none. I had previous instructor before but thank goodness I found Sky driving school (Muj) to get me to a standard that enabled me to pass today. I highly recommend Muj for anyone with or without previous driving knowledge. Thanks again Muj and Milli!!! 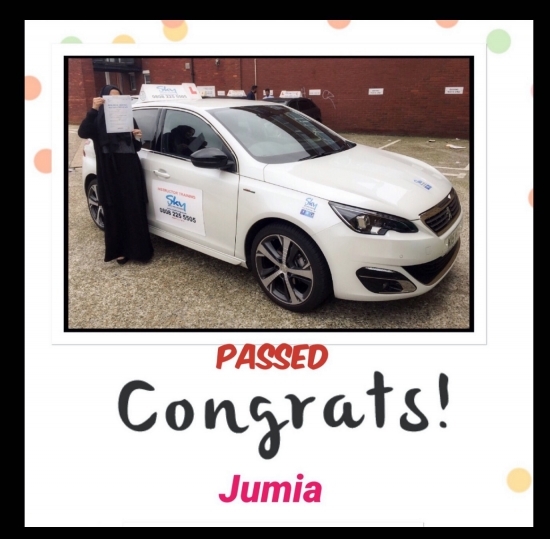 Alhamdulillah, I PASSED!! !